By default, you can edit only those events that you own and tasks that are assigned to you. You can add reminders for the event that have not yet started. Navigate to Activities > Calendar Events in the main menu. Click once on the required event to open it. To respond to the event, click Yes, Maybe, or No for Going depending on whether you are going to attend the event. 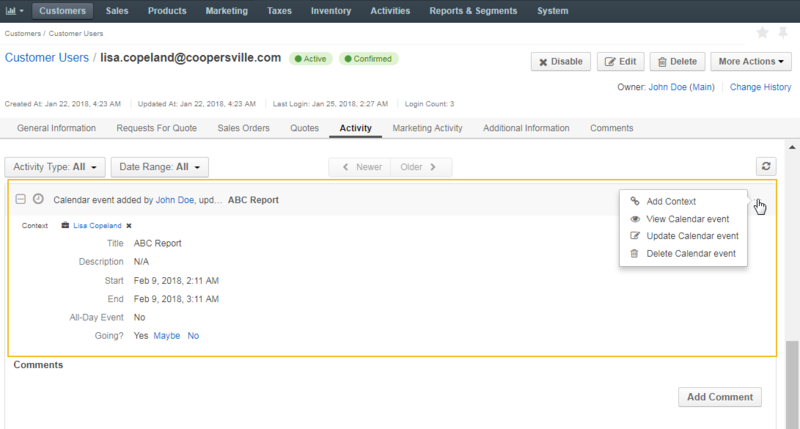 Records that are specified in a calendar event context have this event displayed in the Activity sections of their pages. 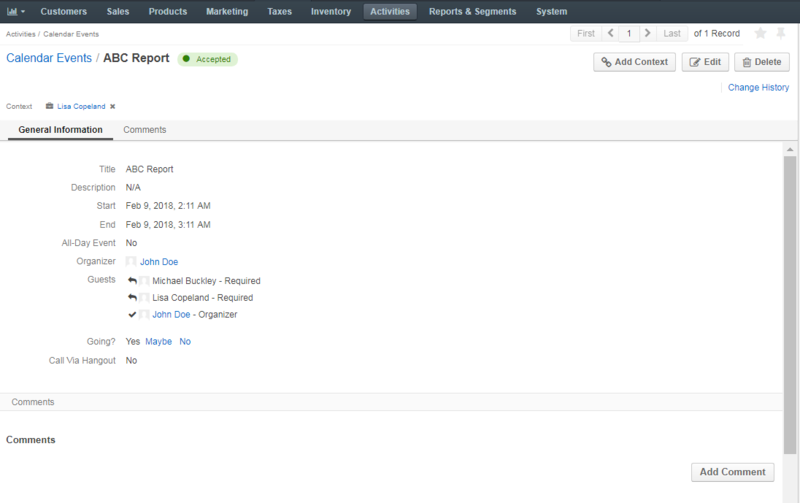 Navigate to the page of a related record. Click on the calendar event under Activity, and click to expand it and view its details. You can also manage calendar events from the My Calendar page and the Today’s Calendar widget. Navigate to My User on the top right of the page. 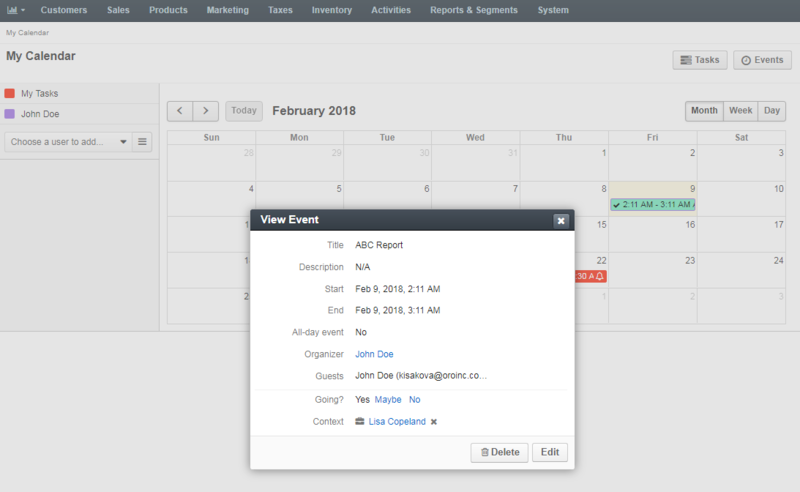 Click on a specific event in the calendar. Navigate System > System Calendars in the main menu. Click on the required calendar.